This is one of those recipes that I have been making so long I can’t even recall where it came from. It’s in my hand-written cookbook, on a slightly splashed page. 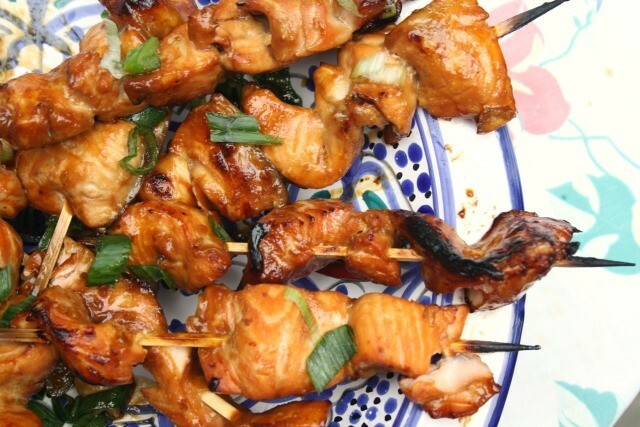 I resurrected it this week when it occurred to me that my kids don’t complain about eating chicken or fish if it’s served on a stick. There is something a little festive about kabobs — just the look of them feels special. 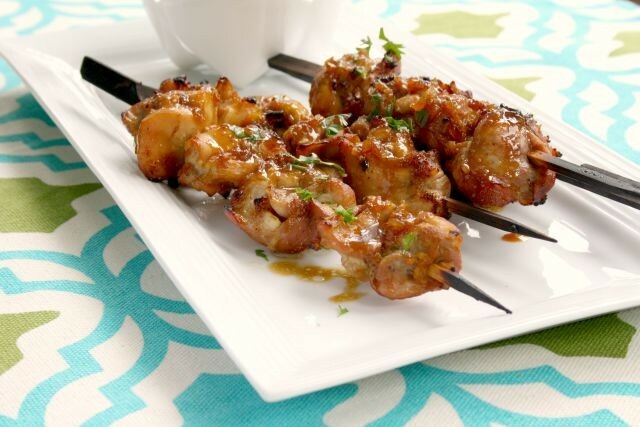 Cutting your meat or fish into chunks or strips helps it absorb a marinade as well. And they cook quickly. 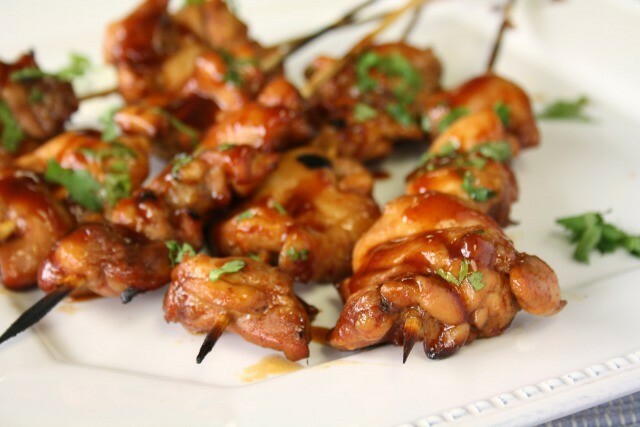 With this recipe the marinade becomes a dipping sauce (you cook it first) but if you’d prefer you can double the marinade and use the second batch for the dipping sauce and discard the marinade used to marinate the chicken. 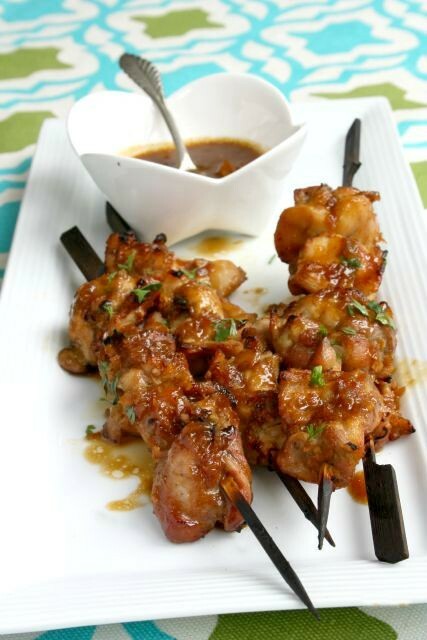 There is also a variation to turn the extra marinade into a peanut sauce for dipping and drizzling. 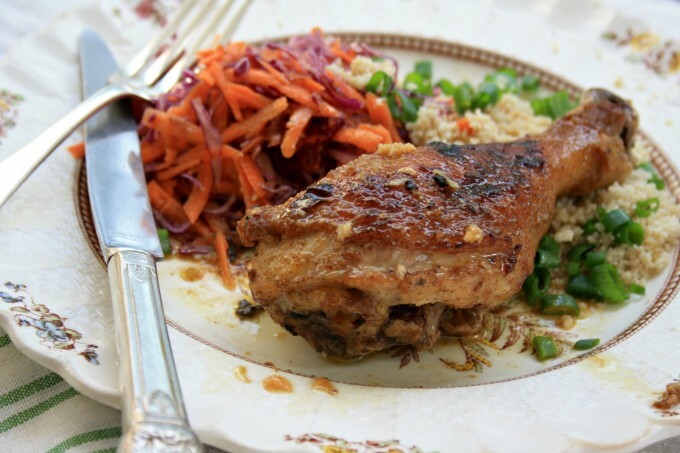 This recipe is excellent with chicken but good with pork and salmon too. 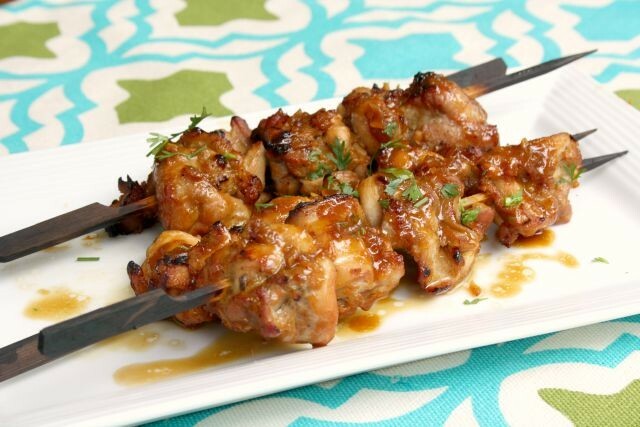 Combine the marinade ingredients in a large bowl or baking dish and add the chicken, tossing to coat. 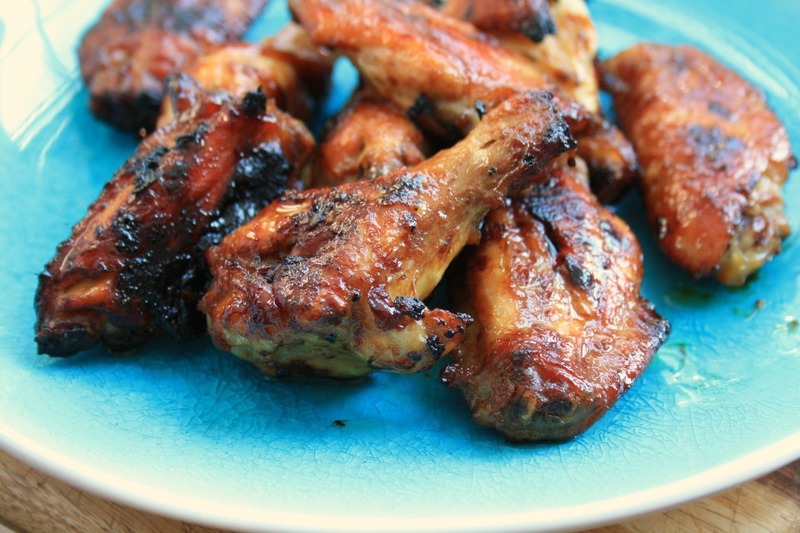 Marinate the chicken pieces for 30 minutes to 2 hours (in the refrigerator), mixing it around from time to time. (You can also combine the marinade ingredients in a food processor). 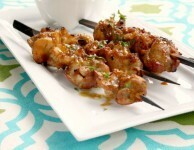 Remove from marinade and thread on skewers. Cook on the grill over medium heat, or under the broiler, flipping once, until done. Scrape leftover marinade into a saucepan with 1 Tbsp. olive oil and warm over medium heat until sizzling. Stir in lime juice, fish sauce and molasses and simmer gently for five minutes. Add marinade to a saucepan with 1 Tbsp. olive oil and warm over medium heat until sizzling/boiling. Reduce heat and add remaining ingredients, whisking to combine. When it’s warmed through transfer to a serving bowl. * Asian fish sauce is a light brown, flavourful sauce found in the specialty foods section of most grocery stores and in Asian markets. Hi Margurite, You could always use more soy sauce (or tamari) in place of the fish sauce. 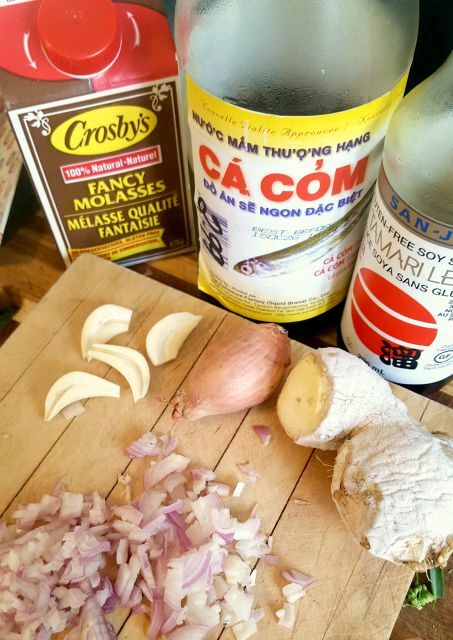 For fish sauce substitution, use soy sauce mixed with a touch (very light) touch of lime juice. Thanks for the great suggestion, Kate!